A clear vision and determination are qualities that Les Paul have made till what he is. 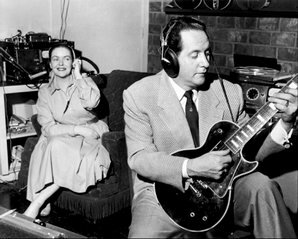 together Les and Mary recording titles of million sellers the years '50: "How High The Moon", "Mockingbird Hill" and "Vaya Condios". 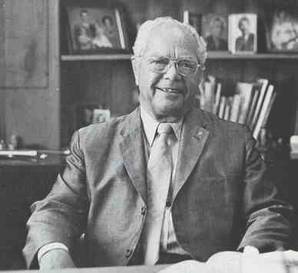 He was born on 9 June 1915 in Waukesha (Wisconsin) as Lester William Polsfuss. 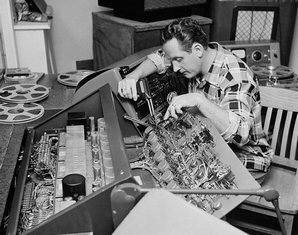 Popl and jazz lovers will want to know him better as Les Paul, the architect of a futuristic sound, that was builded of artistic and expertise on the territory of electronics. Les Paul was the first that made use of a system that we call multiple recording dubbing, and he also is considered as the inventor of the eight track machine; these technical sniffs are these days a must in every studio, and much more. 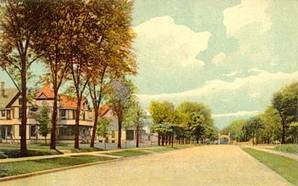 His birth house in Waukesha, had been lain at a railroad line. When Les as 10- year yong boy once a morning stting in his bedroom listen to the trains, he noticed that the windows begun tremble as the sound a particular pitch reached. Inquisitively to this phenomenon, Les held his hand against the glass and discovered that he could subdue the vibrations, but not stop. Just when the speed of the train and so also the sound changed, stopped the trembling of the window. The next day he asked his physics teacher, mister Kahn, how this to declare. "That we call resonance," mister Kahn explained. "Your window hears the train, as your eardrum hears me on this moment, he joined to say: "So also becomes made music." Les want always everything examine. "What are you doing?" asked his mother when she saw how Les hit new holes in the role of the pianola. "I make him better," answered Les. 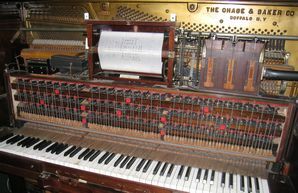 With the extra holes, the pianola appeared sound as two pianola's. It was clearly that Les has musical talents. When he got a mouth organ for his ninth birthday, he could just after a few hour already play it. After that he bought of his savings a guitar with which he got already fast the basis chords learnd. Singing and alternate with his mouth organ, he formed an one men band and named hisself; Red Hot Red, because of his hair color. Les played in that time sometimes in a drive-in restaurant where on a day a waitress him told that the customers complained. "They cannot hear you in the back," she said. On that somewhat must become found, he thought. When he discovered that the horn of a telephone worked by vibrations, just as by a speaker of a radio, Les took both devices with him to the restaurant. He tied the telephone horn at a broom stalk and connect it with a cable to the radio. In these "microphone", he start to sing. The customers begun now even to applaud, but complained then that they could hear the guitar! Les now got the idea to strengthen the guitar also electrically. He took the needle of a record player and set that fixed in the bridge of his guitar. He connected the element of the needle with the amplifier of another radio that the vibrations of the needle strengthened. And now he had an electric guitar! On his seventeenth Les get interested in the blue-gras, country music. A guitarist named "Sunny Joe" Wolverton hearded Les playing, and asked him to play in his band. Sunny Joe learned Les Paul everything waht know about the guitar. In the years thirty, Les played under the name Rhubarb Red, country music in Chicago. Every night before Les goes to bed, he firstly cleanup his guitar and put it in the room on a place so if he wake up the next morning his eyes immediately on the instrument would fall. He already build his own record player through use the fly wheel of an old Cadillac, and connect that with the driven tie of a dentist drill on the motor of a jukebox. Les was a night man, don't like it that in the small hours there was nobody there to jamming. Then he reminded what he previously at home had done with the roles of the pianola, and he asked by hisself if it was posible to use his recordingmachine for alter a phonograph in an automatic background tape. He began to experiment. "An amusing trick, nothing more." After he changed is name in Les Paul, he moved to New York. By day he played guitar in and national radio program of conductor Fred Warring, and by night for Harlems big ones of the jazz. 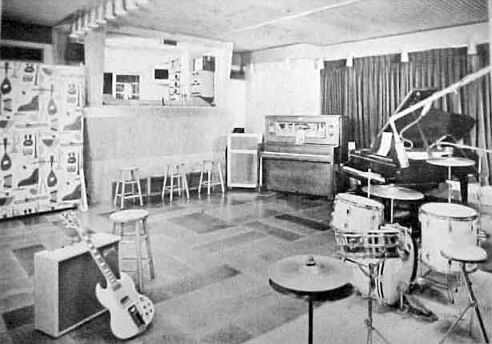 In those days you made a record through place all musicians in one room for playing on the same time and then to hope that they perfectly would play. But there be always someone who plays a false note, and you may started at new. Les was convinced that there must be a better way. "You need an own studio," said Bing Crosby to him in 1947, when Les with him played in Los Angeles. Consequently Les built an own record studio in the garage of his backyard, with, in that times, most modern recording equipment. Well-established stars of that days as, Andy Williams, W. C. Fields, Kay Starr and the family Crosby, came to Les backyard to make recordings. Moreover he could to perfect his plural recording techniques in this studio, and making different demo's. 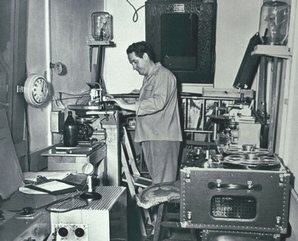 During WW II, Les worked for the radio network of the American forces, and groomed recordings that were transmitted over the whole world. But how hard he worked, the Germans appeared did even good, and sometimes faster make recordings. How was that possible? The answer came when Les found a device in a leaving German headquarter. He realized immediately what it was an what he could do with it. "Bing," he said to Crosby, "I believe that I know how you can on the radio sing meanwhile you on the same moment on the golf course." 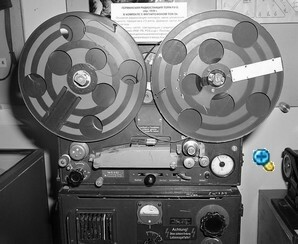 Instead of on a flat this device made recordings on a magnetic tape, that each time can be used again, and that with scissors and glue easy wanted to become assembled. Les now owned a large number of plurally taken records, and had determined to let the world hear them. On a day, when he prevent at a record company had been refused, saw Les workmen busy with a plate, paint on it; "Capitol Record" affirm to a building. With some demo's under his arm he walked backward in to it, so that if someone him would stop, he wanted to say that he was on his way outside. Backward he went up the stair and came at the office of vice-president Jim Conkling. "Do you want listen to one of my records?" implored Les. Conkling agreed. Les put a record on the record player and meanwhile guitar riddles, as that not yet before had been recorded, filled the room, listened Conkling breathless. "How much of this kinds of records do you've got?" asked he. "Very many," said Les, "This is the worst." Conkling got a pen forth, scratched something on the back of an envelope, "signed that", he said and gave it to Les. That contract changed the history of the populair music. 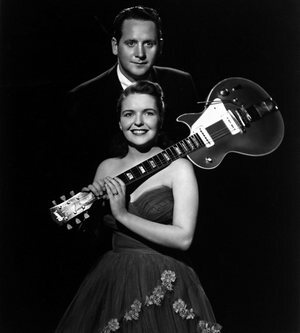 "Lover", Les Pauls first single, was released in 1948 and was at the same time a million seller. The song began with warm bass tunes, swelled till a mix of fast guitar sounds and let the world for the first time knowledge with special sounds effects, like reverberation. Just when "Lover" was released, Les lifted in a car that slipped and fell in an abyss. The car driver, a young singer named Colleen Summers, hit not wounded serious, but Les broke both shoulders a bone and his back, and got a torn spleen. From his right arm became eighteen centimeters bluntly gotten. The arm was setting, but hit infected and it swelled on until five times his normal size, and it seem to be that it must being amputated. 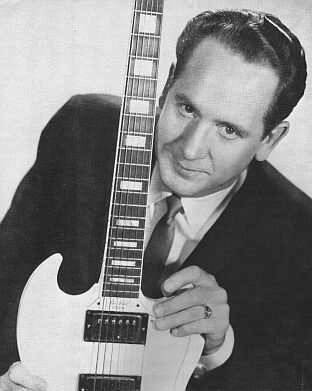 On his 33e, on top of his musical career, would lost Les Paul as well his arm as his fame. Fortunately Les get on advise of a surgeon in Oklahoma, removed to the Good Samaritan hospital in Los Angeles, where his arm were broken again and chocked with screws, so that his hand permanently point to his navel. "I am guitarist," had said Les to the physicians. "As my arm must become fixed in one position, then eager like this." After two year of rehabilitation played Les his guitar again. "Through the misfortune, my technique has been improved actual," he tells now. "It forced me to let superfluous movements of the elbow." The accident had yet someone else unexpected consequence. Colleen Summers and he became fallen in love. Lesson meant that she's a good acquisition for his act. "There is only one problem - Your name," he said. When Summers asked how she had to be named then, consulted Les the telephone directory and said,"Mary Ford". Les and Mary their career. Also Les and Mary had there own TV-show. Les dreams for years of a different kind of sound. Sound that he even could gotten out of his electric guitar. Endlessly he had to sit listen to the sound of one single string against different backgrounds, hollow wood, solid wood, steel, aluminum. His conclusion was that hollow wood was less suitable for amplification, consequently he built a number solid-body guitars. They produced precise the sound where he was looking for, but nobody had been interested. "There had no to think of that Gene Autry, the popular country singer, on something would play on looked like a railway bar!" Thus Les. 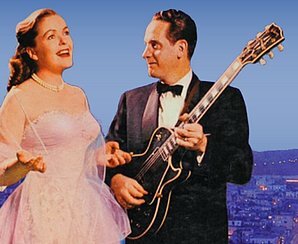 In 1950, the new Gibson-manager Ted McCarty met Les and Mary during a meeting in Pennsylvania and show they a single cutaway-solid body guitar with a cut out ashwood body front. Les was particularly enthousiastically about it and did offer to assemble his own trapeze-model strings holder plus tail piece on the guitar. They worked the whole night at a hand written contract of two pages, in which became fixed that Gibson would bring the guitar on the market with the strings holder plus tail piece of Les under the name Les Paul. Les would get royalty's for every sold copy and obliged self openly not play on other guitar. This was the beginning of perhaps the most valued electric guitar in the world. Although the Gibson Guitar Company in the years '50 produced a solid-body guitar, became this guitar fit halfway the years sixty popularly. The time that the beat music groups, like the Beatles has been smashed a new direction, and Les Paul got the honour which him belonged. These days does an original, Les Paul solid body guitar built, by Gibson between 1958 and 1960, about $40,000. 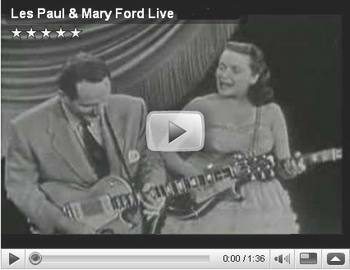 Les Paul kept the fascination for the tape recorder. Helped by others considered Les that if he moved the heads of the recorder, he one sound over the others could cover. But his next idea was his most revolutionary. "Let we instead over the whole width of the tape set the heads above each other and recording on superior tracks," he said. This led by the development of the synchronic stereo tape and the 8 track track tape till the present, advanced techniques. The modern studios of these days take advantage by 48 or even more tracks recorders on which can recording during different sessions. The tracks are mixed then and sounds the final result vague differently than the original recording. 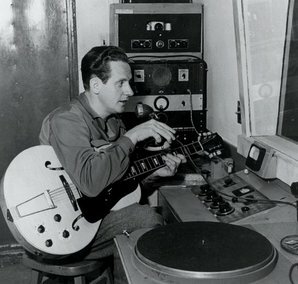 Daniel Queen, chairman of the Technical Council of the American Association of sounds technique, says: "Les Pauls multi track-draft had not only influence on the manner on which populair music sounds, it has also the serious music influenced; from the recording of a symphony of Mahler to the avant-guard music of composers as John Cage." 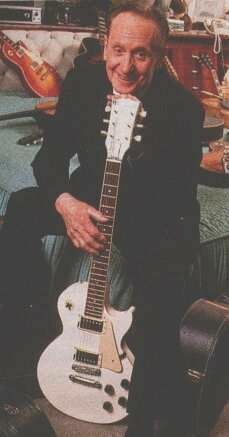 Les Paul remained until his death in 2009 in the music. Mary and he went from each other after they were stopped with singing, but they remained be friends till her death in 1977. In that same year received Les Paul a Grammy-award for an album that he made together with gitarist Chet Atkins. Also the collection album "Lesson Paul: The Lent and the Legacy" that released in 1992, became a nomination for a Grammy-award. Paul still stayed up all night and made inventions in his house New Jersey, which was so packed with equipment (among which his mothers exciting phonograph of which he the needle had used), that someone described the house as "half museum, half electronics-store." Also he worked at recording equipment which the cd again will overtaken. "Recordings must can be made without moving parts," he said, "and played through loudspeakers that each sound can reproduce that our eardrum can hear." He performed until his dead almost every monday evening in Fat Tueday's, a jazz club in Manhattan. Lester William Polsfuss died on 13 August 2009 in White Plains, New York, at the complications of a pneumonia. Lesson became 94 years old. Rock guitarist Steve Miller summarize the career of lesson Paul as follows: "Beside to the fact that Les sold million records and his fans already more than sixty year fascinates, he was the first who has the talent and the insight to combine music and technique." What Steve Miller and many other guitarists know, is that each sound that they make is the estate of Les Pauls talent. Only almost nobody can self propose that it all began with a boy, a train and a trembling window. That was the day that a child made contact with music..
That was the day that he heard the the future.